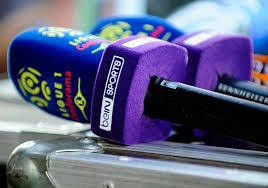 February 6 – Sports broadcaster beIN SPORTS is to take further legal action in its dispute with US cable operator Comcast over its rights to have carriage on the Comacast platform. beIN SPORTS was removed from Comcast/Xfinity platforms last year in a dispute over what Comcast pays for carriage rights. Comcast dropped the channel in August when its carriage deal expired and it refused to pay the rights fee being asked by beIN. beIN tried to renegotiate with US giant that is the largest pay TV provider in the US with more than 22 million subscribers. It is Comcast’s unwillingness to renegotiate that is forming the basis of the beIN complaint to the media bureau of the Federal Communications Commission. beIN SPORTS is the exclusive broadcast rights holder in the US and Canada for LaLiga, Ligue 1 and Turkey’s Süper Lig, as well as regional competitions such as Copa Libertadores, Copa Sudamericana, Copa del Rey and CAF Africa Cup of Nations.